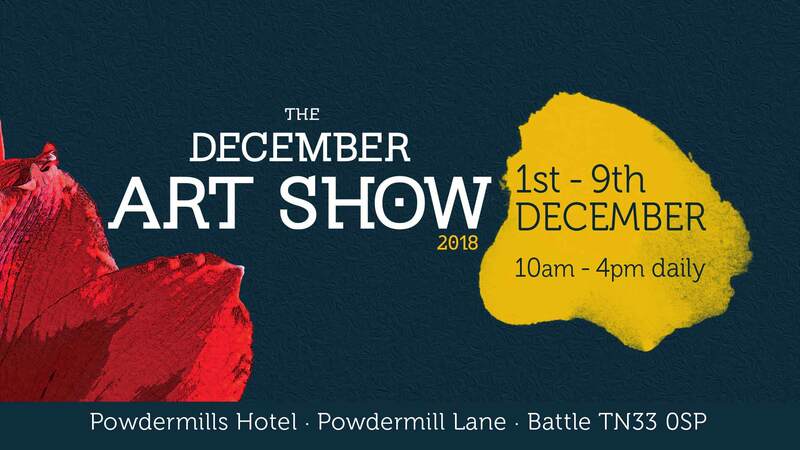 I am proudly exhibiting at The December Art Show in Battle, East Sussex next month (1st – 9th December 2018) along with 20 other incredibly talented artists, ceramicists, sculptors and glassmiths. Having that many creative people on display there will definitely be something for everyone and a plethora of goodies to feast your eyes on. I can’t wait to see it all! So if you want to see and buy something unusual for a special Christmas present from a painting, unusual bowl or sculpture, glass Christmas tree decoration to some handmade bespoke cards; then come and have a social get-together in a relaxing and lovely location, at our fabulous December Art Show. Our LAUNCH day is Saturday 1st December 10am – 12pm where you can meet the artists and enjoy some festive refreshments. I’ll be there so please come and say ‘hello’. Dates: 1st – 9th December | 10am – 4pm everyday.